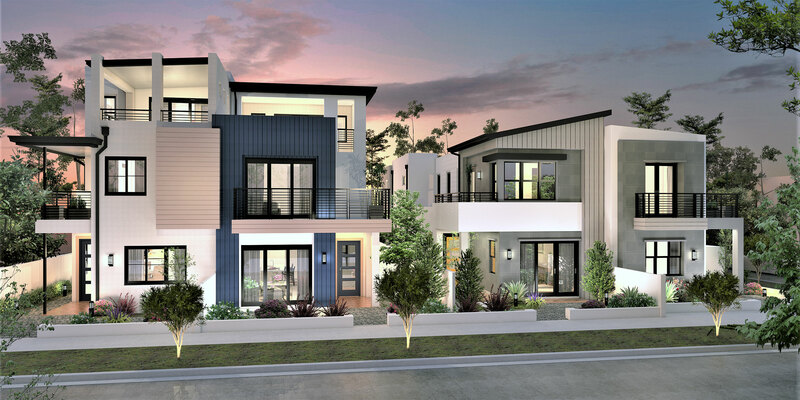 Revo at Novel Park in Irvine, California is a new and exciting line up of contemporary paired homes designed for William Lyon Homes that feature three floor plans in 6 unique elevation styles. 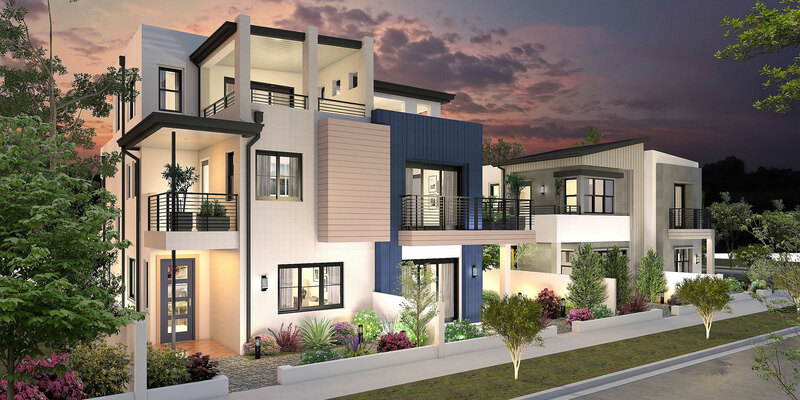 These two and three-story homes incorporate clean modern designs with dramatic detailing inside and out. Square footage ranges from 1,814 to 2,143 with third floor bonus room and covered rooftop deck amenities that increase square footage up to 2,591. 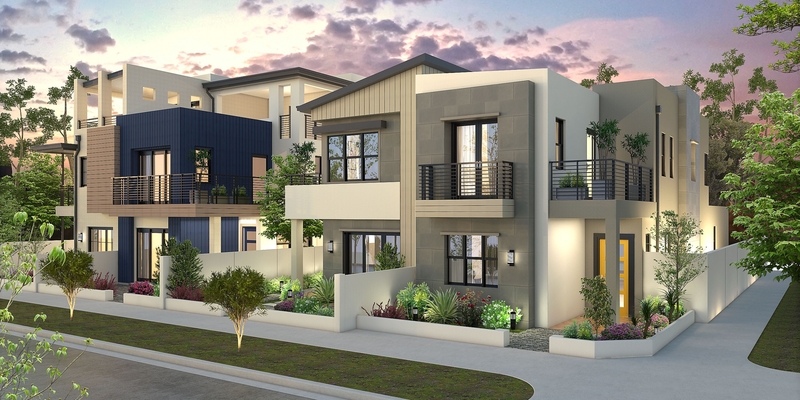 Open floor plans and vertical outdoor living spaces elevate these homes and incite feelings of luxury city living in a creative family connected community. These designs are to be the stand out feature of the Novel Park neighborhood, coming early 2019! Unit Plan Size: 1,814 – 2,143 Sq. Ft.